An island is defined as ‘a piece of land surrounded by water’. Confusingly, Fish Island in East London is not really an island; it is probably best described as an enclaved peninsula bound by the A12, a number of canals and the Olympic Park. 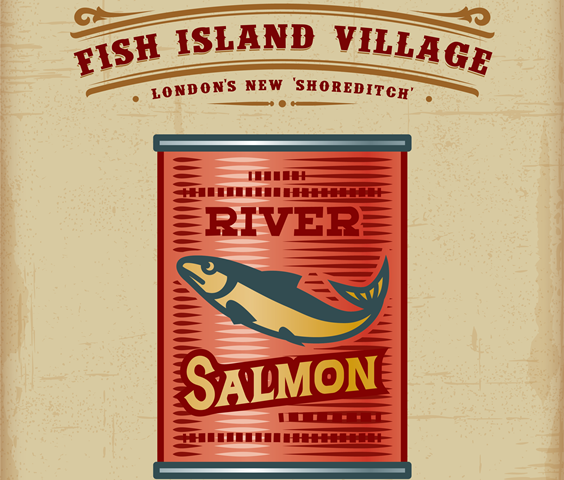 One developer is marketing the area as ‘Fish Island Village’, to sell the promise of a community to new residents and businesses. Fish Island has undergone significant transformation in recent years and it continues to be an area with high development demand. In the late 19th century, Fish Island was developed as a small ‘factory town’ with street names such as Roach Road and Bream Street, which gave the island its ‘fishy’ connection. By pure coincidence H. Forman & Son, purveyors of smoked salmon, occupy a smokehouse on Stour Road adjacent to the canal and produce some of the finest smoked salmon in the world. The Imperial Gas Light and Coke Company bought 30 acres of land across Fish Island for new works in 1865, but instead of their planned development, the land was sold on to create a community of houses and factories. During the Second World War the area was badly affected by bombs and post war regeneration led to the clearance of a number of major housing slums. Subsequently, new factories, warehouses and light industrial units were built and the area became a centre for industrial activity. Towards the end of the 20th century, Fish Island became an attractive hub for artists, owing to the changing local economic landscape and the affordability of once industrial accommodation. Today, it continues to appeal to a creative population, owing to its eclectic mix of affordable factory and warehouse buildings, as well as its proximity to central London. Dubbed as the ‘new Shoreditch’, it now boasts ‘Fish Island Labs’; a low-cost workspace in partnership with the Barbican Centre, the Crate Brewery Bar and Restaurant and Stour Space; a ‘hipster’ café / gallery adjacent to the canal. The island is also within easy reach of the Olympic Park and Westfield Shopping Centre, Stratford. This has enhanced the area’s distinctive identity as a home for emerging artists. The London 2012 Olympics undoubtedly sparked a development opportunity. Under the Area Action Plan published in 2012, key planning strategies were outlined for each of the major areas of Fish Island. The northern, mid and eastern sections will either become residential or mixed use, and the southern section will be employment led, boosting the local economy. Fish Island will be further enhanced by improvements to Hackney Wick Overground Station, which are due to complete later in 2018, as well as forthcoming additional cycle routes and access ways. Average prices for new one-bedroom apartments in the area start from £425,000 and £530,000 for a two-bed. Tower Hamlets envisaged in its Area Action Plan that around 3,000 new homes alongside 175,000 sqm of employment space will be created in the next few years. The number of homes is likely to exceed 5,500 and Fish Island will play an ever increasing important role in London’s housing supply. Some major developers helping to achieve this include Peabody, Hill, Weston Homes, Taylor Wimpey, Anderson Group and London and Quadrant. By the end of 2018 alone, 320 units will be scheduled for completion. Since the Area Action Plan was published, the Allsop Valuation Team has been heavily involved in advising developers, property companies, housing associations and banks in relation to development sites on Fish Island. Over a four-year period, research illustrates that the value per acre now ranges from £7.75m to £13.3m for sites without planning and £10.5m to £24.25m for sites with residential-led planning consent. A number of these sites have been owner occupied since the 1960s / 1970s by businesses associated with activities such as waste management and recycling. Recent land transactions certainly affirm the saying: ‘where there’s muck there’s brass’! Fish Island has witnessed significant change and growth since the 19th century and is undergoing somewhat of a renaissance as a new community emerges. There are still a number of existing sites and buildings which are underutilised and arguably incompatible with the intended ‘village’ community vision. This includes low rise industrial units, builder’s yards and a waste transfer site; it is a Tower Hamlets’ objective to further manage the release of former industrial land to enhance the space for its new community. Fish Island is one of the last remaining areas within Greater London to witness such significant change in respect of its built environment and underlying land values within such a short timeframe. The aim of Tower Hamlets has been to develop it into ‘an area where people choose to live, work and visit’; it is clear that creating a community is one of the major ingredients in achieving this. 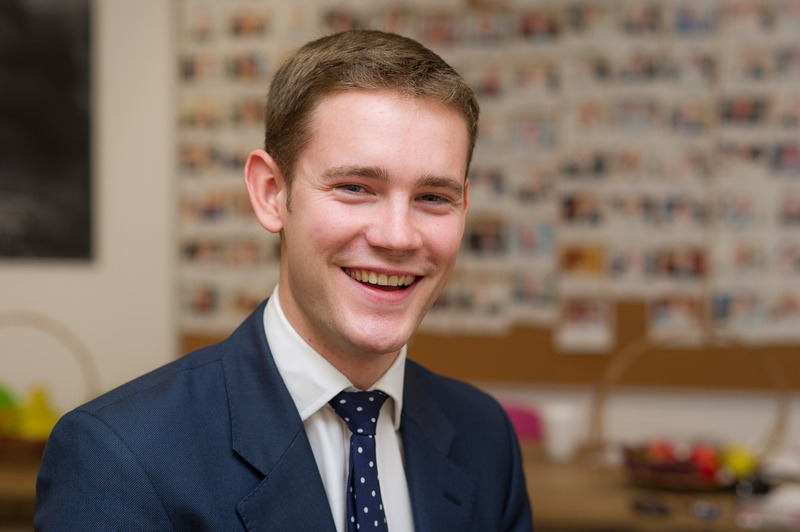 Andrew is an Associate, working in the Commercial Valuations Team. He specialises in undertaking valuations for loan security, purchase and accounts purposes. He has experience in dealing with individual and portfolio valuations, as well as a range of property types including office, retail, industrial, leisure, residential and mixed use developments. Blog Japanese Knotweed: what’s all the fuss, it’s only a plant?